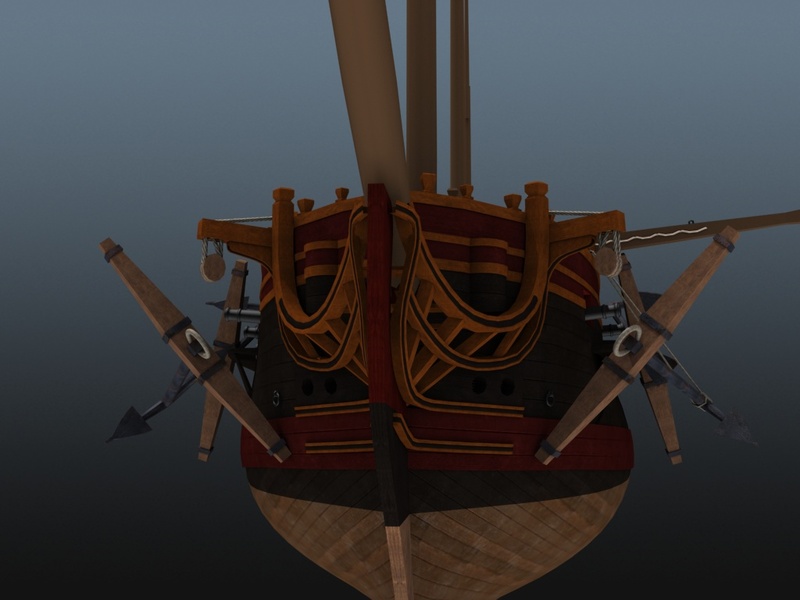 Hearts of Oak: Conquest of the Seas is a non-commercial PC game being developed by PiratesAhoy!, and is to become the historical seafaring game to end them all! 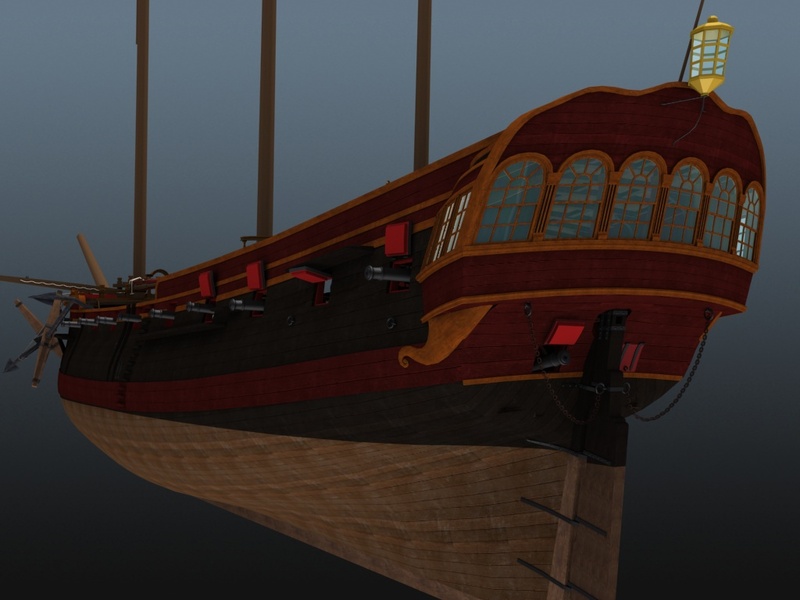 Fun, realistic gameplay on land and at sea, set during the Age of Sail, will provide extensive free play, exciting scripted storylines and intense multiplayer scenarios. Ships, guns, more ships, more guns... and a whole host of other finely-crafted items await you in this week's article. 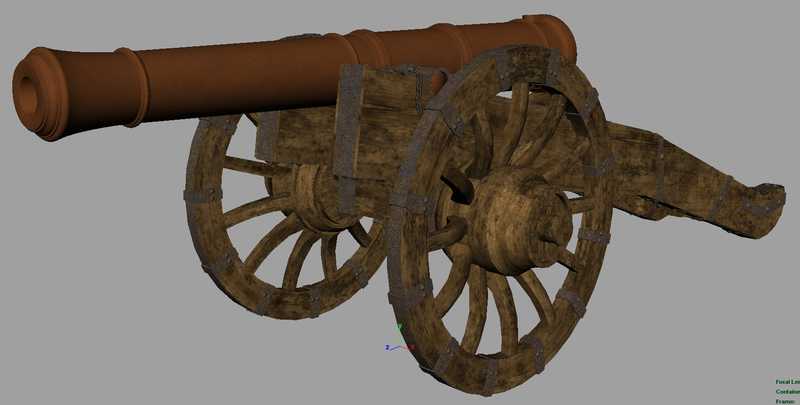 Welcome to another edition of our Hearts of Oak progress articles! In each article*, we will bring you a summary of the latest development news, including work-in-progress screenshots and in-game footage, along with a more in-depth look at featured content. This edition is very content-focused, with a large selection of 3D models to show off, including ships, guns, a new island and more. This video shows some of the latest features of our internal test build, including a host of new assets imported into the engine. There are several sub-categories of 3D assets to cover here, so below we'll list various types of assets, what they're called and who made them. 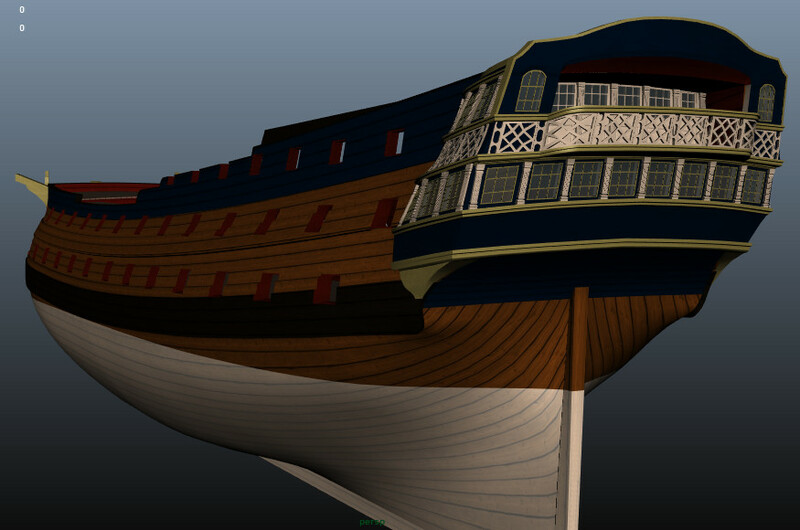 A large 30-gun merchant vessel in progress, with beautifully ornate features. A small warship from 1741, with a strikingly sleek hull shape. The second picture shows a cutaway view of the cabin. 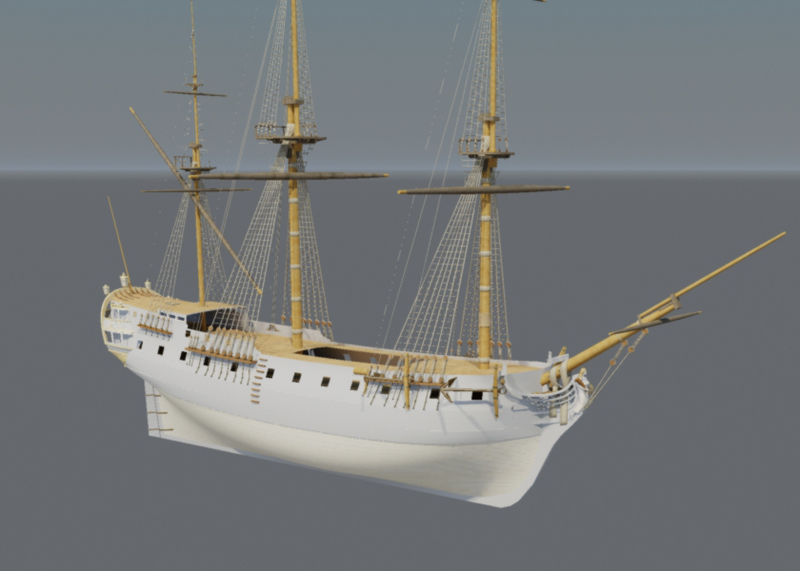 This model has been imported into Unity as a test, and can be seen below alongside the St Albans. 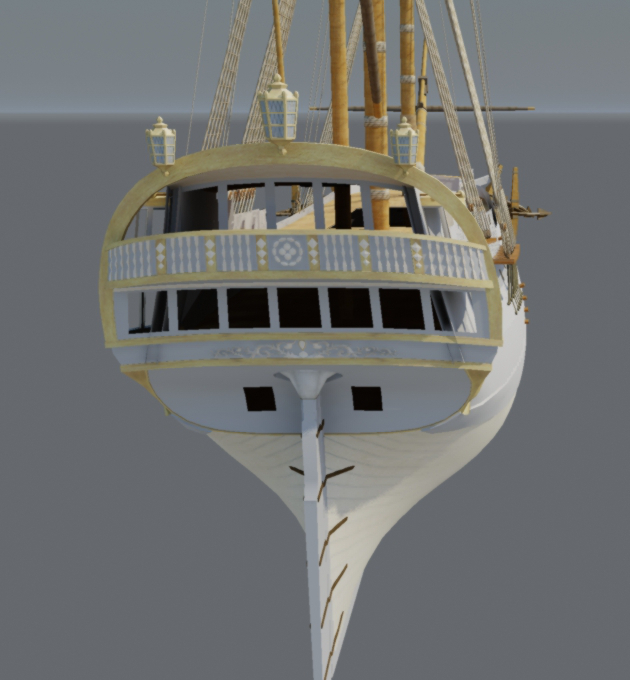 Not all components have been imported yet, but the ship looks great in the engine already. Behind the scenes, the deck beams have now been installed, showing a great amount of detail. 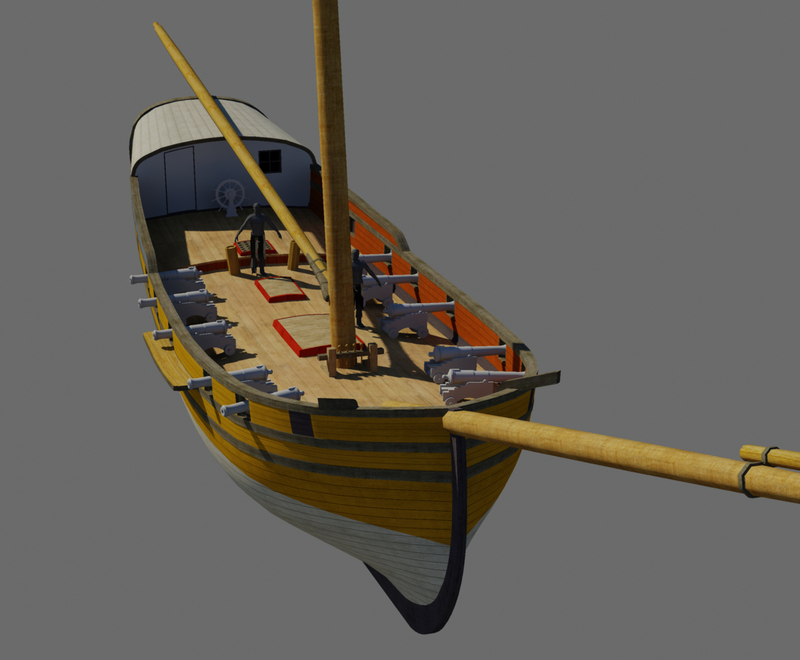 Further improvements have been made to this ship, including new details and high-quality textures. 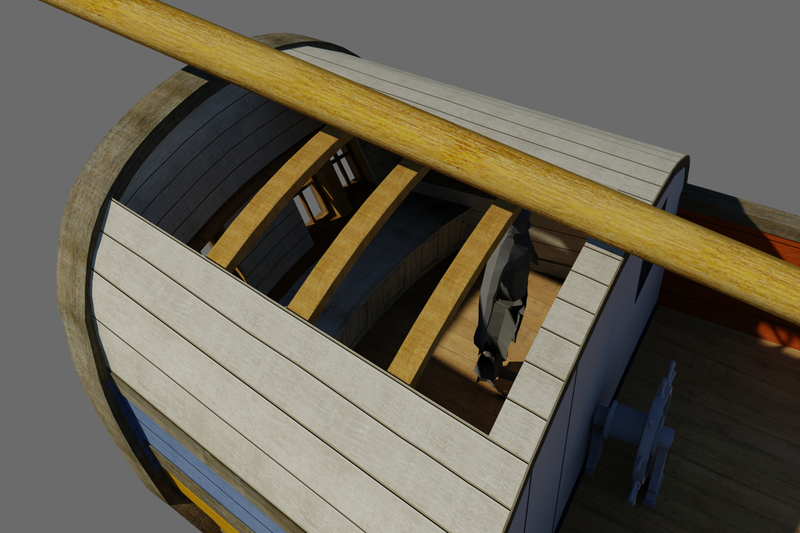 Continuing to prepare this model for testing, the stern windows have been replaced and all decks have been installed down to the main gundeck. 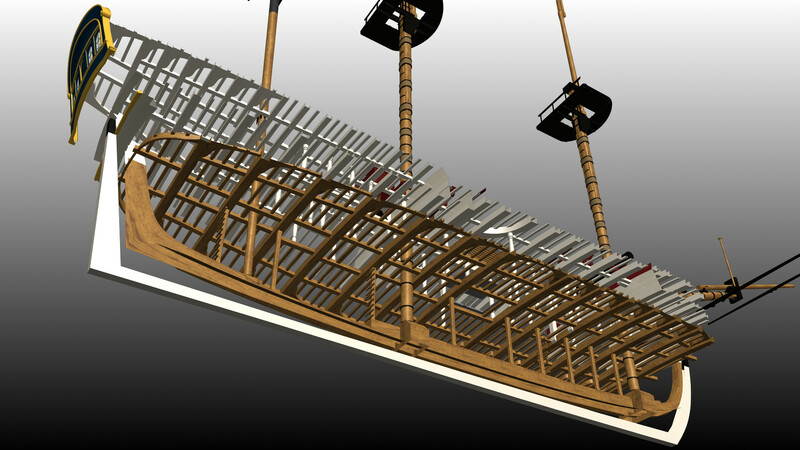 The second image shows an experimental substance material being used for the hull planking. This substance, made by Captain Murphy, can be dynamically modified in-engine to adjust the number of planks, weathering, dirt and more. A fantastically detailed bronze gun, designed to be used on the battlefield. A small period accurate medical cabinet, containing various medicinal items. 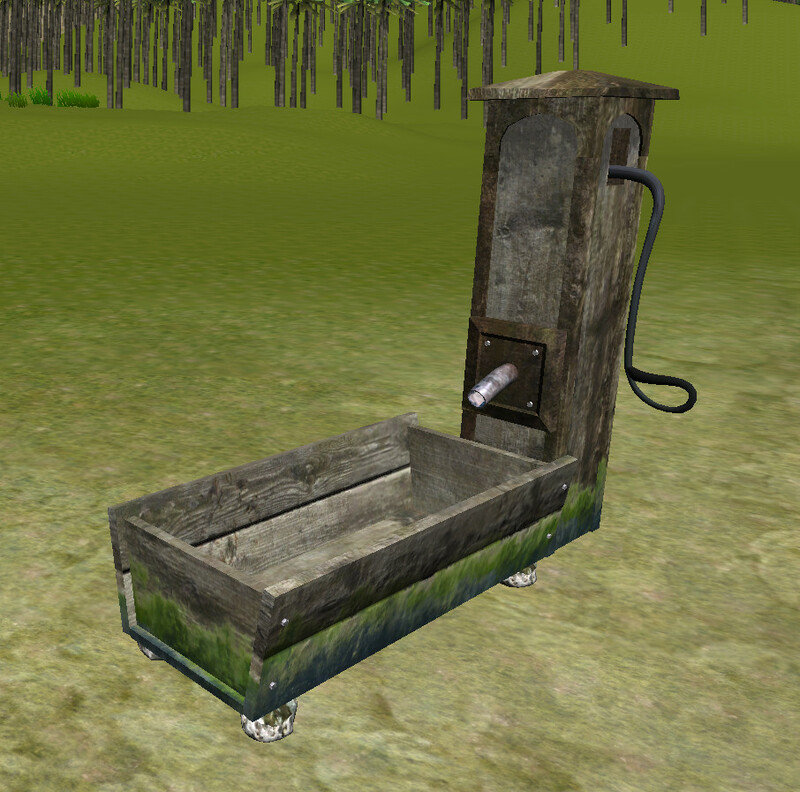 A simple water pump and trough. This is a unique island that reuses some of the assets from the Pirate Island pack, giving us two locations to travel between in our test build. We are still recruiting all types of 3D artists, and in particular we'd like to see more people willing to get their assets into Unity. We will also accept help from programmers and 2D artists. As a reminder, all of our developer roles are NON-PAID positions. For role descriptions and how to join the team, click here. We are still accepting donations to help pay for engine add-ons, software licenses and more. If you would like to donate to the project, you can do so through Paypal using the Donate button on Heartsofoakgame.com . We greatly appreciate every contribution! You can keep up to date with how much we've raised and what we've used the funds for here. That's it for this week's progress; we'll have more updates for you soon! Don't know what the Hearts of Oak project is? Take a look at our Frequently Asked Questions for more information. *Please note that we're aiming to post a new article at least once a fortnight. If there's a long gap between articles, it usually means we're very busy! The last three screenshots were taken in the free version of Unity, and the video was shot in Unity Pro. Remember we're still in the pre-alpha phase, so the game looks nothing like the final result will. Unity 5 is right around the corner and will vastly improve graphical fidelity as well, so we have every reason to believe the final game will look outstanding. Your perception has been ruined by the eye candy Crytek engines. The only thing is that the Crytek Engines are very difficult to properly program and looking at how Crytek has fired almost all of its employees, it doesn't look like it's going anywhere good anytime soon. Unity on the other hand is very stable and offers a lot of features to create a wide assortment of games. Unity might not look like Crysis 3, but it packs quite a punch! Yes, Unity is MUCH more stable than CryEngine. They are still trying to get animations working correctly in CE while we have made more than 2 years progress in Unity in a matter of months. Unity 5 also gets the Physically based shading and rendering down REALLY well. Also, we are NOT using any camera effects in our demos or screenshots. Once we start using tone mapping, depth of field, chromatic aberration, vignetting, etc it will make a pretty big difference. I dont care how the graphics are or the animation to a point as long as it is as good as or better than potc and coas and the mods the community made for those, then I will be happy. The plan is to allow for almost any number of nations using mods or packs so if it doesn't exist in the base version that it can easily be added later.